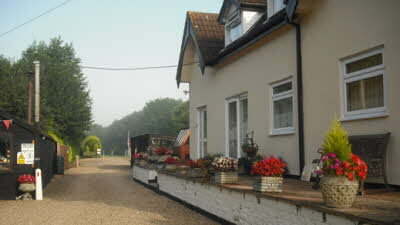 A thoroughly delightful CL situated just eight miles from Norwich. 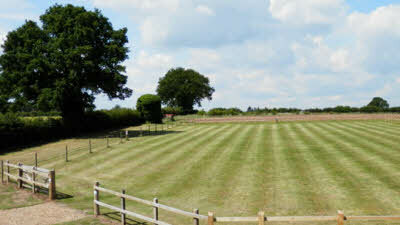 The site is set in delightful grounds of 2.5 acres and benefits from EHU and a toilet it is manicured to a very high standard by the owners Janet Ingram the owner and partner Keith Lee who keep this CL in tip top condition and their helpful nature makes your stay at The Station all the more pleasurable. 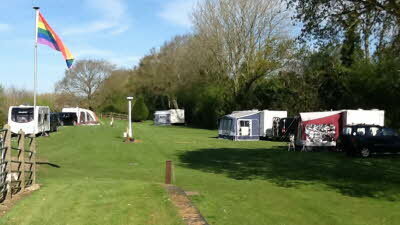 A very quiet friendly site within easy reach of a multitude of visitor attractions. The CL also boasts being adjacent to Marriotts Way a cycle & walk way that runs from Norwich City centre to Aylsham a distance of approx 26 miles and is one of the longest off-road routes in the country this is a must for cyclists and walkers alike. Lenwade Dinosaur experience is a short distance away and a 20 mile drive towards the coast takes you to Lowestoft, Yarmouth, Sheringham, Cromer, Holkham Hall, Wells Next The Sea and the north Norfolk coastline. The Thursford Collection of steam memorabilia is also a short drive away, Sandringham the Queens winter residence is 35 miles distance. 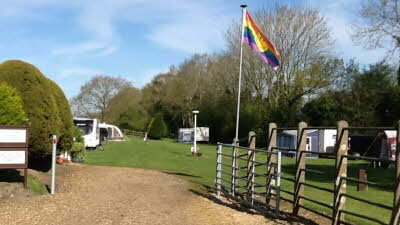 The site is a 10 minute walk to the main road where bus services are available to Norwich or Fakenham. Park & Ride into Norwich City Centre is situated at Norwich Airport a few minutes drive away. Also the Norfolk Broads are within easy reach. 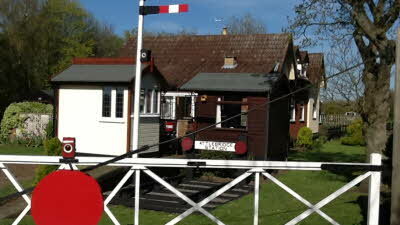 Whitwell museum of Steam and Diesel engines is a short distance away for train enthusiasts a work in progress museum with train rides a well stocked café. Sculthorpe Moor and Pensthorpe Waterfowl & Nature Reserves are a must for birdwatchers and there are several golf courses and fishing lakes in close proximity. 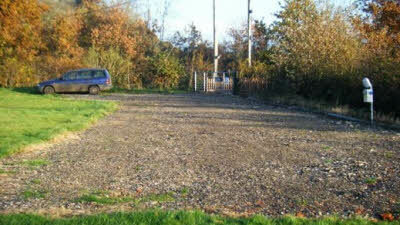 Excellent, immaculate and friendly site - very helpful owners. A number of good dog-friendly pubs in nearby villages and within walking distance along the Marriott Way. 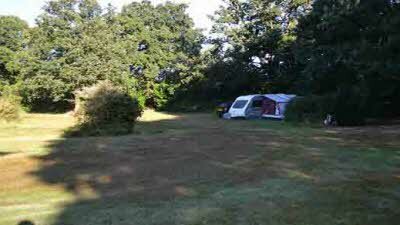 We have just returned from a seven night stay at the station CL at Attlebridge. What can we say that hasn't already been said about this site. It must be top of the list when it comes to peacefulness, great little layout,area with plenty to see and do.BUT more importantly is the wellcome and service from Janet and Kieth you receive. Nothing is ever too much trouble for them,and you are made to feel at home from arrival until departure.It's a site that once you have been to you will return year in year out. Simply The BEST. After a hectic week organising a huge outdoor event, this was just the place to chill out. Arrival was excellent, and, with 4 vans already sited, without crowding those already there we were to be beyond my 25m cable, but an extension appeared in a flash from the owner. There are large trees on site which are best avoided for pitching to avoid raindrops on the roof after rain and there is a little noise in the distance from a business but neither worried us in the least. 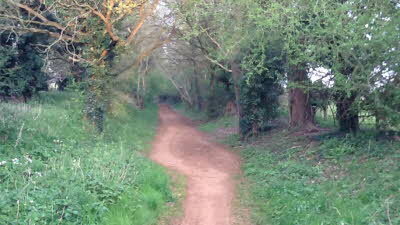 The dogs loved the walk on the old railway line route and I would have no hesitation in returning here. with such a short stay I cannot comment on access to local places but I see others have done so. 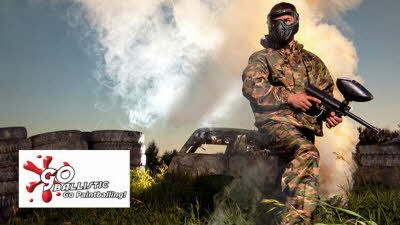 Fully fulfilled my expectations. Friendly welcome ,beautiful setting, relaxed and satisfying. We visited this site in August 2015. We arrived to a very warm welcome from the owners, to an absolutely delightful little site, where the grass was mowed and kept short, and there were lovely baskets and tubs of flowers. There was a small information hut with tables and chairs, as well as a couple of picnic tables on the site. 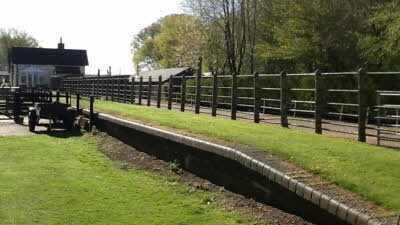 There was a toilet available for visitors use, which was cleaned to within an inch of its life, situated on the old station platform. A ten minute walk took you to the main road where you could catch the bus to Norwich or Fakenham. The site is adjacent and about midway along the Marriotts way, where you can walk or cycle from Aylsham to Norwich.We went through to Whitwell which is a working Railway, running Steam and Diesel engines. They also hold regular events and there is a cafe where you can get snacks and drinks. The only down side for us was that there was no mobile phone service. Apparently there is a bit of a black hole in that part of Norfolk, unless you are on Vodaphone, which we were not, but that is easily overcome if you go into the nearby towns. All in all a delightful stay and we will return.